July 2012 - Take a day trip! The joy of visiting a smaller park! Francis William Bird Park in Walpole: This is a great community park and has a lot of things to do right in the middle of Walpole. With everything from tennis and basketball courts to some nice walking paths and outdoor performance space this park has something for everyone! Noon Hill Trustees of Reservations Property in Medfield: Noon Hill is a small park that is connected to several other parks in Medfield. It features a little over 4 miles of trails and a nice viewing area atop Noon Hill. Moose Hill in Sharon: Moose Hill is a nice area with some great mostly flat hiking and some nice areas to sit and relax. The property here is a combination of land owned by the Audubon Society and The Trustees of Reservations and, between the two of them, there are actually quite a few trails to explore. Signal Hill in Westwood: This is a fairly small reservation right next to I-95 in Westwood. It’s a short hike to the top with a nice loop and a nice view from the top. There’s also room to sit down and enjoy a picnic. All of these areas have the benefit of being close, usually uncrowded and free to use. They also all (coincidentally) happen to be Trustees of Reservations properties. The Trustees own so many spots in Massachusetts that it’s tough to talk about great places here without mentioning them. There are also several state parks that are a worth a visit including Borderland State Park in Easton and F. Gilbert Hills in Foxboro. However, Borderland can be pretty busy on a warm weekend though I’ve never seen the parking lot full (especially since they expanded it). All of these places make for a great way to spend a few hours outside and I recommend them all. So get out there and enjoy the many parks and awesome outdoor recreation spots we have here in the Greater Boston Area!! 3 great places to do some bird watching. 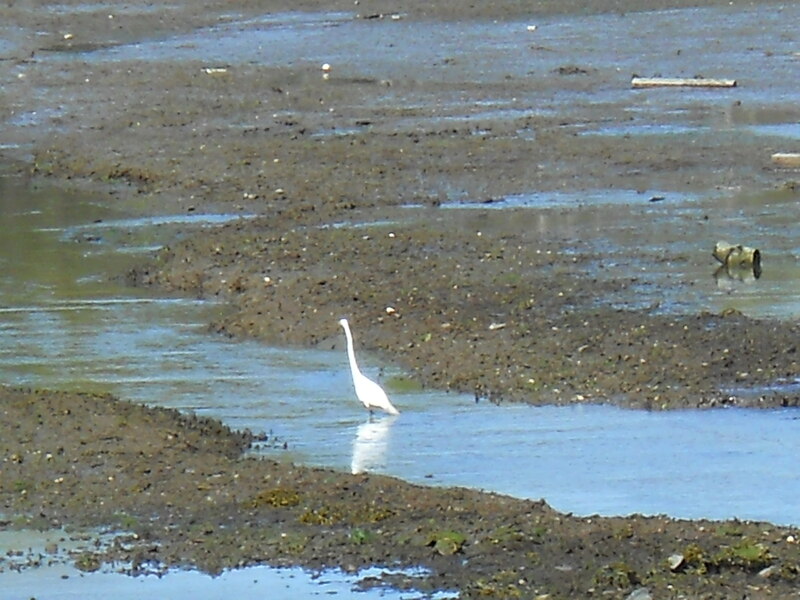 Bird Watching at World’s End Reservation in Hingham, MA. Reservations property in Hingham. It is a peninsula that juts out into Massachusetts Bay with awesome views of Boston Harbor, the islands and Natasket Beach. There is also a bird blind under construction there that allows you to view the birds that visit the coastal estuary there. It’s less than a hour from Boston if the traffic isn’t bad and feels world’s away. 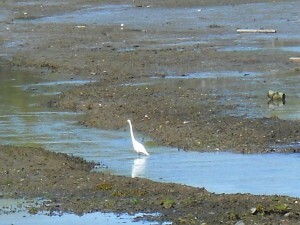 Parker River National Wildlife Refuge in Newburyport: Parker River is another popular spot for birding and has several great facilities created just for that purpose. On the June day that I last visited the place was packed with birders and many of them had cameras and other gear setup to see many of the birds that visit it’s salt-marshes or call them home. Mt. Tom State Reservation in Holyoke, MA: Mt. Tom is the furthest from Boston of all of these since it’s off I-91 headed towards Western Massachusetts. However with traffic that moves you should be able to make it there in under two hours from most of Greater Boston. It’s a noted spot to view hawks riding the updrafts over Mt. Tom’s ridgeline and also provides a nice moderately difficult hike with awesome views of the Connecticut River Valley and the Oxbow on the Connecticut River. If you’re headed there on a hot weekend day I’d recommend getting there early, once the lot fills up they close off access and the lot sometimes fills well before noon. There aren’t any lifeguards. This is something I appreciate because I like to be able to swim where I want in the pond without being told to come back to shore, however that also means if you have trouble swimming out on the lake you’re likely on your own. There aren’t any facilities beyond pit latrines including trash cans. So be prepared to pack out what you take in and bring anything you want to eat or drink with you. If you have some people who want to hike there are also some trails on the property that make a loop around the other pond and you can also fish here with a state permit. For more information, check out the new Bigelow Hollow page and enjoy a nice swim! Summer doesn’t last long in New England, get outside and enjoy it while it’s here! !